The opening of Blindspot Gallery marked a series of firsts for Hong Kong’s art scene. Blindspot was the first commercial gallery in the city to focus on exhibiting photography, it was the first major gallery to open in the (now buzzing) Wong Chuk Hang district and it was one of the first galleries to represent a roster of local artists. The brains behind this ambitious local gallery is Mimi Chun, who has seen Hong Kong’s art scene boom since she opened Blindspot in 2010. Here, she reflects on the very first exhibition she hosted at Blindspot, discusses what she loves about the art scene in Hong Kong and reveals which artist she’ll be championing next. What was the first work of art that moved you? I studied film, and later photography. My early exposure to visual arts and visual language stemmed from these educations. Orson Welles’ Citizen Kane (1941), Akira Kurosawa’s Rashomon (1950), Jean Luc Godard’s Breathless (1960) and Stanley Kubrick’s A Clockwork Orange (1971) are all films that had a huge impact on me when I was a student. Chris Marker’s La Jetée (1962), a short film constructed from still photos, made me understand that the boundaries between art forms can be shifted—and sometimes broken. What was the first exhibition you hosted at Blindspot? Blindspot opened in 2010, our inaugural exhibitions were a trilogy titled A Departure from Reality: A Trilogy of Contemporary Photography featuring six Mainland and Hong Kong artists. In each part of the trilogy, we paired up a Hong Kong and a Mainland Chinese artist. 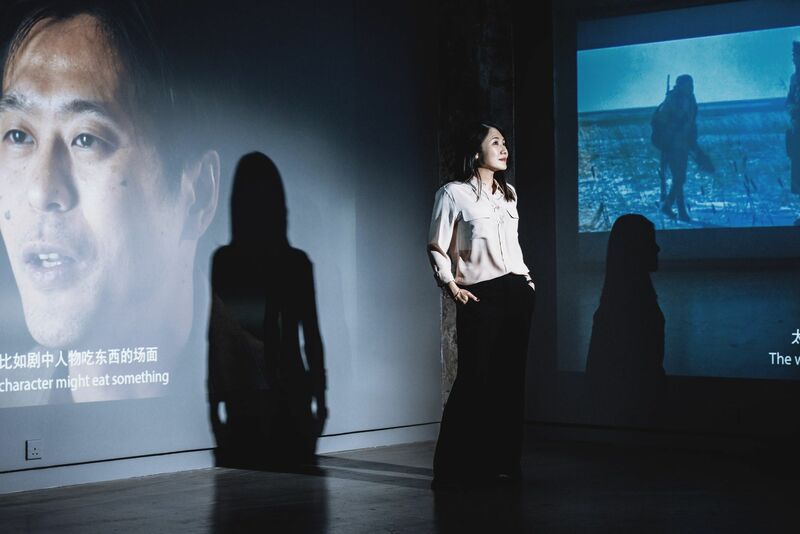 In the first part, we exhibited Mainland Chinese artist Miao Xiaochun and Hong Kong artist Enoch Cheung. What’s the most challenging exhibition you’ve ever hosted? All the exhibitions I have hosted are challenging in different ways. Sometimes I don’t get to see the final works until we get very close to the exhibition, so you need to put a huge amount of trust and faith in your artists. It is almost religious. Is there an artist you don’t currently work with who you’d love to represent? I have a list of artists I want to work with, but that list changes from time to time. What’s the best thing about the art scene in Hong Kong? The best thing about the local art scene is its size. It is very small, everyone knows everyone, and there is a mutually supportive and friendly atmosphere in general. The art world here is still largely driven by commercial activities, galleries, art fairs and auctions. There’s an enormous need for more museums, institutions and non-profit art spaces for the development of a healthy ecosystem that involves nurturing local artists and curators. I look forward to seeing how that will change, with the recent opening of Tai Kwun and the future M+. Who’s the most recent artist to join your gallery? Hao Jingban, a Chinese video and film artist whose research-based practice involves collecting a wide range of found footage, recordings and archival materials, then conducting interviews and voiceovers. She uses these materials to [explore] historical and social movements through experimental, documentary and essay films. Which exhibition are you hosting next? Next we're hosting a solo show by Isaac Chong Wai titled Is The World Your Friend? The exhibition begins with the artist’s personal experience of being attacked by a stranger on the street in 2015 in Berlin, the city he lives in, and explores ideas of trauma, violence and reconciliation. Then we will be showing established Hong Kong artist Lam Tung Pang in March. Lam has been primarily known as a painter whose work is inspired by classical Chinese art. Our upcoming exhibition aims at presenting different facets of his artistic practice, including video and installation works. Which exhibitions will you be visiting around the world in the coming year? There will be a solo exhibition of the late photographer Ren Hang at Maison Européenne de la Photographie in Paris this spring. We represented Ren Hang before he passed away in February 2017, and this will be his first major institution show since he passed away. I look forward to this “encounter” with my friend. Who in the art world most inspired you and why? I always consider the interaction and exchange of ideas with artists the most inspiring and enjoyable part of my job. It might sound a bit trite, but it’s true!